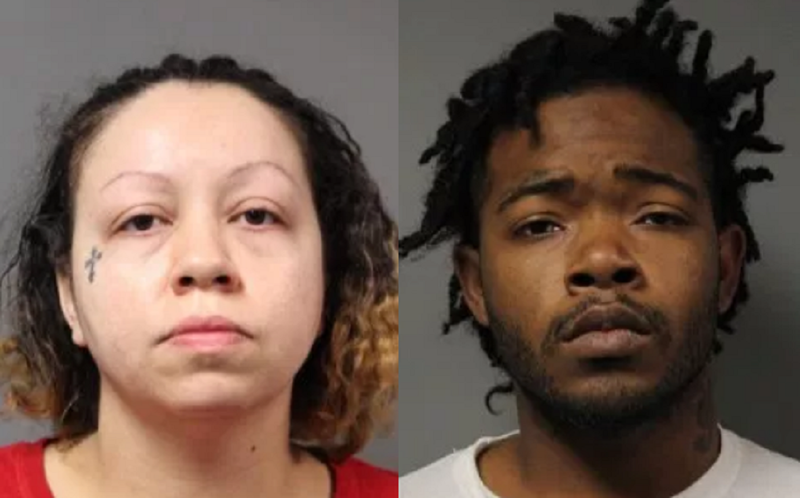 Dover – Two parents were arrested at William Henry Middle School, located at 65 Carver Road, on Tuesday afternoon, February 27th, 2018. Nathaniel Hampton (26) and Vanessa Alston (33) went to the school at approximately 3:06 pm wanting to know where their son was, according to M/Cpl. Mark Hoffman, Public Information Officer. Hoffman said both suspects were shouting profanities and alleging their son had not returned home from school. Alston also made threats to kill while inside the building, according to Hoffman. Officers arrived and the suspects continued to be uncooperative, shouting profanities inside the building where staff and students were still present, said Hoffman. Officers noticed that both suspects smelled of marijuana and appeared to be intoxicated, added Hoffman. Once taken into custody, it was discovered that Hampton had 4.1 grams of marijuana in his possession, said Hoffman. Once the suspects were in custody, school officials confirmed that their son was on the way back to the school from an out-of-state field trip that the parents previously gave permission for him to attend, knowing the class would return after normal school hours. The child was picked up by his grandmother upon his return. Hampton was also charged with Possession of Marijuana and Drug Paraphernalia. Alston was also charged with Terroristic Threatening. Both suspects were released on unsecured bond by Justice of the Peace Court 7.